Once A Year aChristmas song for Crumlin Children's Hospital. it's a collection of ten original, and very different songs, that range from folk to jazz and everything in between. 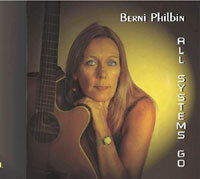 The album called, "All Systems Go" is now available from CD Baby, an online music store dedicated to selling and promoting independent artists. So feel free to have a look around, and maybe have a listen to some of the samples on the audio page. Don't forget to come back soon, for further news and updates. Visit Berni's MySpace page here. The album can also be downloaded from the following sites as a digital download. below is a song called Peace of mind, video recorded in Nerja on the costa del sol Spain.